Artists of SNDA is a blog page where you will find stories about SNDA students, their achievements and their daily lives as dancers. "From childhood, everyone used to ask me why are my toes like that? I used to tell them its from birth and they wouldn't believe and make me feel awkward at times and sometimes even kept asking me again and again. But then slowly I made myself a little comfortable, still there was some awkwardness within myself and around people cause they used to look at me differently. When I joined SNDA, during Dance Carnival (Students' Recital Show) my feet started hurting a lot, because the dancing hours were a lot more, so there was a lot of pain butI overcame it, I went to a doctor and she told me to put my feet in cold water, then Sumeet Sir suggested I put cotton in my shoes and I used to wear it regularly. After a long time it got cured and now I’m comfortable with everything cause now i can do what everybody can do. Sometimes with my classmate, I used to have a fight that even though I didn’t have toes, how I was able to point, that used to happen. There wasn’t a particular moment that changed it all, I used to dance from a very young age, and when I used to go to theearlier dance class, the teacher used to tell my mother that she cannot dance after a certain limit cause she doesn’t have toes. At SNDA, I didn’t feel as insecure as I used to, but yes some students used to ask me but I figured that the teachers never asked cause they didn’t want to make me feel awkward and insecure. I understood that. Now I don’t care whether or not I have toes, I can do what everybody can do, maybe even more. I just did a chair split for 5 minutes! One change that I’ve seen in myself now is that at first I used to not score well in school academics, but now I manage both dance and academics and I am excelling in both. Dancing at SNDA has helped me become a better person. I believe I progressed cause I had faith in myself and my teachers believed in me that I could do it even though I don’t have toes, cause it doesn’t matter as long as you have faith in yourself you can do whatever you want." "It was 2011 when in my second year while pursuing Masters in Biotechnology from St Xavier’s college, Mumbai I took my first dance lesson. Mounting pressure of exams made me discontinue the class but I knew I would get back to it someday. Soon after completing my Masters I started working as a Content Writer in a company. I remember joining SNDA with my first salary in 2012. I took once a week Contemporary class for about 3 months and even performed for SNDA’s students’ show. That entire process of rehearsing for a show to being on stage and getting inspired by watching performances deepened my love for dance to the extent that I enrolled myself in Professional Program at SNDA (part-time). I loved my daily routine…working until 6pm and then dancing until 9pm. It went on until a year till I completed the program. I didn’t know what to do further. For me, the definition of dance was SNDA and I somehow couldn’t look beyond it. Meanwhile I changed 3 jobs and finally got into India.com where I worked as a Health Writer/Reporter. I loved my job although I missed dancing. After 6 months, Sumeet Sir called me to attend a class with him and he told me to join SNDA as a company member. It took me 3 months to grab the courage to quit my job. I joined SNDA in 2015 and never looked back after that. There are days when I am low, tired, sleepy, stressed, in agony but the happiness I feel when I am dancing in class surpasses everything. I enjoy the feeling of learning something new and challenging. Since the time I have joined SNDA, I consider myself to be very lucky to get challenging opportunities. I got to experience learning classical dance through a very interesting project, where I trained in Bharatnatyam under Guru Rama Vaidyanathan and put up a performance in Goa for Serendipity Arts Festival. It wasn’t even a week after I put my ghungroos away that I got the opportunity to slip into full pointe shoes and perform ballet in a piece. So basically I did BharataNatyam & Ballet in the same fortnight. The achievements didn’t even sink in completely and something as powerful as Trishna fell into my lap. The sight of people standing for an ovation after the performance was over is frozen in my memory, the words people came and said to me in appreciation still resound in my ears. And now there’s another huge challenge lying ahead of me. Performing for a production that has already made an impact everywhere it has been performed will not be easy. But neither were any of the previous challenges." "I have always been fascinated with Contemporary dance and Ballet as I enjoy to see the connect and flexibility that a dancer has. That’s why i decided to learn Contemporary dance. I zeroed down on SNDA to learn even though I stay at Gorai, which would take me 2.5 hours to reach and then another 2.5 hours to go back. I remember my first class, I did not understand what contraction/release was nor was I able to do it. A lot of challenges presented itself to me. A lot of new steps and techniques were coming my way and I felt like everyone was able to understand and pick up the steps apart from me. Then later I felt a change in myself and pushed myself even harder. Without SNDA faculty this wasn't possible. They believed in me. After a few months I realized that this may be my calling but then came my family. At the beginning, my family was against the idea of dancing. I remember collecting enough money to be able to dance for at least a month or two. The third month after i started dancing at SNDA, I wasn't able to collect enough money and didn't know what to do. My mother even told me to not dance. But somehow I managed to convince a friend of mine who used to attend the same batch as me to loan me some money so that I could pay the fees and would repay her as soon as I could. Soon after came SNDA's Annual Students' Recital Spark, where I had invited my parents to come and watch me perform. After the show, my father agreed to let me continue dance and since then he has been paying half of my fees while I try to save and pay the other half. 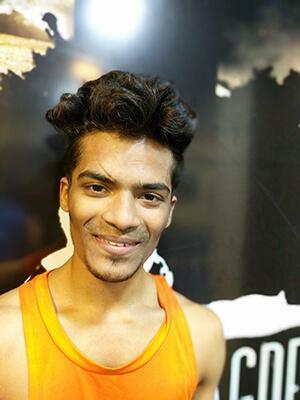 It's in these last few months that I have started getting support from my family and when my facilitator Shraddha suggested I join the Full Time Professional Dance Certification Program, I asked my father if I could do it and he refused. I think I expected too much. But in my heart I know I want to make a career in dancing, so I thought once I finish studying, I will get a job and then give Professional Dance Certification a try with my own earnings. As of now I come to SNDA only once a week on Sundays and it makes me feel positive and wish that everyday was a Sunday. 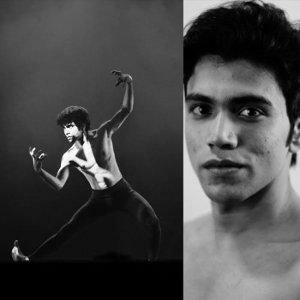 Today, having everyone including Sumeet Sir appreciate and cheer me on for doing the split jump just motivated me to work even harder in making a career in dance."